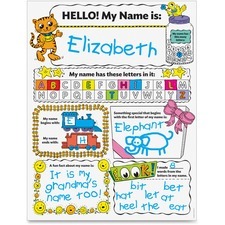 Build early literacy skills and make every student feel special with this unique poster that celebrates their names. Children are invited to use their names to explore letters, count, create patterns, play a word-building game, draw pictures and more. Poster is perfect for creating wall displays or send-home keepsakes that parents will cherish. Teaching guide allows you to create a more comprehensive teaching experience. Poster is designed for children in preschool through second-grade. This step-by-step, book-by-book program guides children through the early stages of reading development. 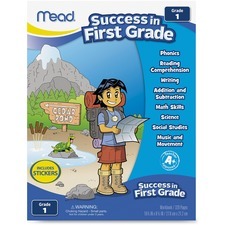 Each book has been carefully evaluated by a reading specialist to correlate with the Guided Reading Levels. 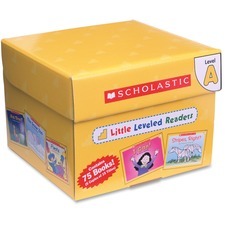 Storybooks feature topics that children love and are perfect for group learning. Mini-teaching guide allows you to create a more comprehensive teaching experience. 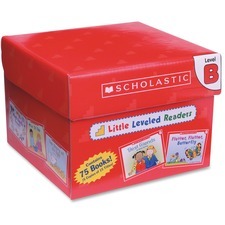 Box set is designed for children in preschool through second-grade. 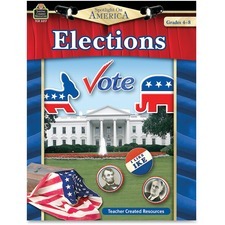 Spotlight on America workbook enriches reading in the content areas as students discover the history of American elections and democracy. Students enjoy activities that include preparing and giving speeches, working with maps and timelines, and a simulation of Election Day. Workbook is designed for students in fourth-grade through eighth-grade. Put down your device and relax with these coloring books for all ages. Heavy-duty white sheets accept crayon, pen and colored pencils to let you create unique, versatile works of art. Perforated sheets tear out cleanly to put in a frame or on the fridge. Spiral-bound, letter-size book opens completely on flat surfaces for convenient coloring. 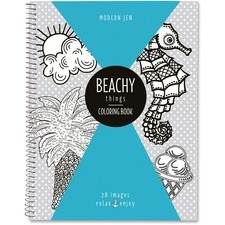 Beach-themed book includes 28 printed sheets per book. 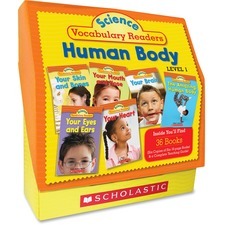 Boost students' nonfiction skills and their vocabularies with these super-engaging readers. Fascinating facts and fantastic photos ensure students stay engaged. The books include a table of contents, short chapters, diagrams, captions, a glossary, comprehension questions and more. Comprehensive workbook provides activities that extend foundational skills for home learning. Reinforce phonics, vocabulary, reading, writing, math, science and social studies learning. 320 pages complement curriculum at the first-grade level. Activities focus on fine motor and gross motor development. Workbook includes a sticker page, parent tips, visual direction icons for young readers, phonics, reading, writing, math, science, social studies, music and movement. 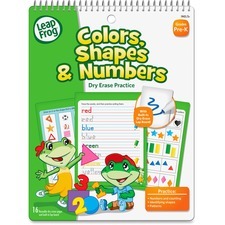 Dry-erase, spiral-bound practice workbook reinforces the key color, shape and number skills children need to succeed in preschool and kindergarten. Flexible pages and built-in lap board make it a durable learning tool you can use at home or on-the-go. Workbook encourages learning through fun activities that help kids practice number recognition, counting, patterns and identifying shapes. Plus, the dry-erase format makes mistakes easy to erase and promotes repeated practice. Math skill-building workbook focuses on key math-building skills and explores the specific content areas with an interactive and fun approach. Team Time activities encourage multi-sensory development of skills. It helps students with addition and subtraction with two, three and four addends. 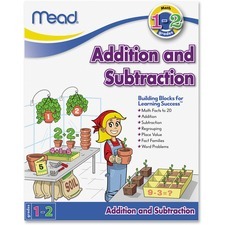 Workbook improves proficiency in number formation, problem-solving and reading in the math content area. Children work with place values (ones, tens and hundreds), number sense, fact families and regrouping. Workbook is designed for first-graders and second-graders.